We have to build a new web application (SPA with the vue.js for the front and nodeJs for the backEnd API). The (back-end of the) web application must request Rest API protected by kerberos token (The kerberos token are delivered by an Active Directory (on-premise)). We would like to authenticate the users on the application with a JWT token ( delivered from the AD Openid Provider) after authenticating with their AD credentials. Question : is there a way to "convert" the JWT token with a kerberos to allow the Backend Rest API NodeJS to request the API protected by kerberos token (delivered by the same Active Directory) ? I'm working on a new project that uses Keycloak. Keycloak have a default password policy called "Password Blacklist" that reads words from a txt file and see if the password that user enter is equal with some of these words. // Error: Account already exists for this username. Account already exists for this username. Which is exactly what I'd want it to, but when the user goes back (without making another request to change the username to one that is available) the ParseUser.get("username") returns the value that wasn't saved because it already exists (instead of the real value stored at the moment in the server). // username now returns ("Any username that is currently already used by another user"). The only way I've found so far to fix the issue is by uninstalling/reinstalling the app. What's causing this? And is there any good way to fix this? I am fairly new to implementing JWT. I had a few questions while implementing JWT. I am using axios to make requests. When the user logs in or registers. I get an accessToken, which expires in a few days. I dont have a refreshToken because I think the backend is built on django rest framework. Now if I get a status code of 401 in a request, I try to check if the token has expired and if yes, then refresh the accessToken, but at times even the refresh token api returns 400 suggesting that this token is also expired, at which point I need the user to log out. I think this is a bad User Experience, Why is that we cannot refresh the token using old token. Is there a way to keep it from expiring? Can anyone point me to an example which solves the following problem with a correct implementation of axios interceptors? I'm used to making web applications with the basic .net core identity included. But while searching for other authorization options i came across JSON web tokens (JWT). 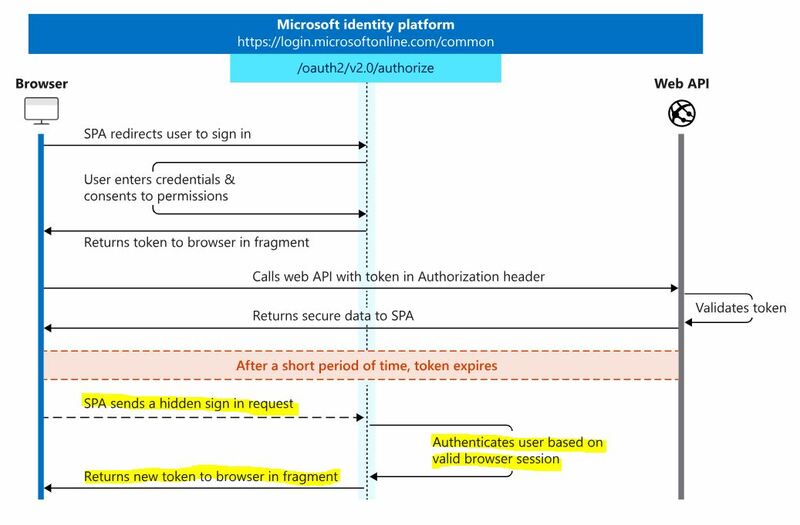 Now from what i know JWT is a very popular option and i've seen people use it with and without .net core identity. So, why would one use JWT together with .net core identity or why use JWT without .net core? As you can see, the JWT is missing. I have tried replacing the HTML form request with an XmlHttpRequest from the DOM, but I still get the same result. The JWT appears fine in GET request headers, I'm only having this issue with POST requests. What is the best way to pass an encoded JSON Web Token string from the client to the server?